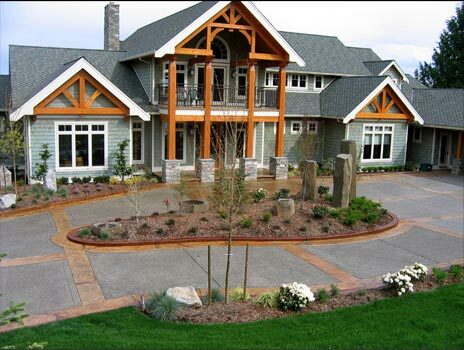 Greystone Concrete Design is a small, family owned business located in Olympia, Washington. We have over 20 years of experience in the greater Puget Sound area. Specializing in stamped, stained and dyed projects, we design concrete slabs to be integral, decorative works of art for your home or buisness. The latest decorative concrete products are utilized along with homegrown techniques and colors. Our services include concrete design, antiquing, stamping, acid-staining, dyes and overlays. We do a wide variety of jobs ranging from small patios to entire hardscape designs. Our stains and dyes range from basic to intricate. New challenges are always welcome.